I was very surprised by this wonderful shoes. I don\'t normally wear heels because I stand all day at work. The wedge itself keeps my feet supported for walking and standing. I just so love it! 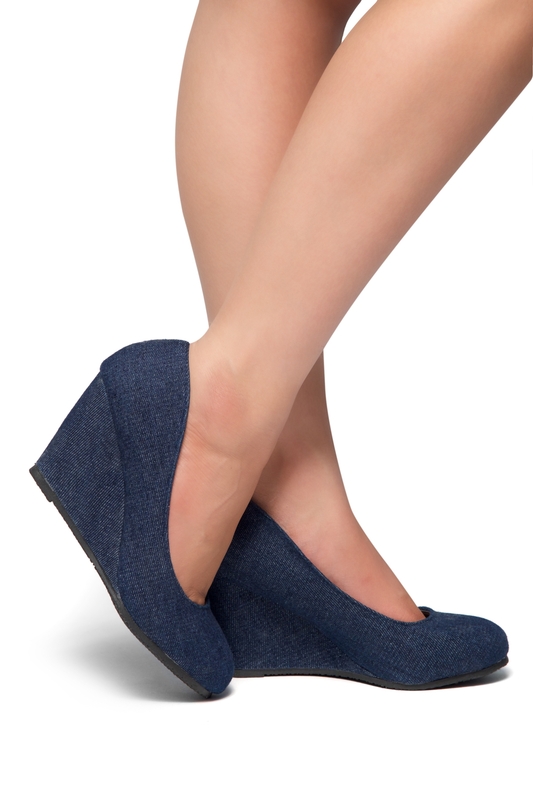 Love, love, love this wedge heels!!! I like the navy color and wear them almost everyday. Very comfortable, sturdy build, and perfect for work and/or casual events. I can wear them all day and they don\'t hurt my feet! Definitely recommended to all! Perfect fit and looks exactly like the picture. It is woooorth buying item.